Category Archives for "John Sarno DMD"
Researchers have developed a dental implant with a built-in reservoir for the slow release of drugs. This schematic presents it integrated into the jawbone and with a crown on the tooth. The researchers, from various departments at KU Leuven in Belgium, describe how they designed and tested the implant in a paper published in the journal European Cells& Materials . 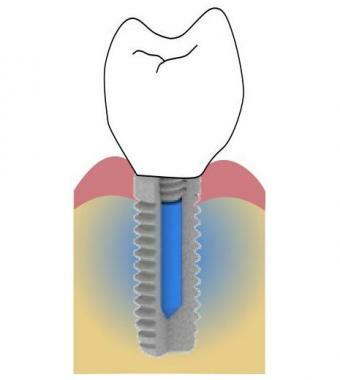 Lead author Dr. Kaat De Cremer, from the Centre of Microbial and Plant Genetics at KU Leuven, explains that the reservoir in the implant can be filled by removing the cover bolt. In general, bacteria have two life-forms. In one, the planktonic nation, they exist as single, independent cells, and in the other, they aggregate in a slime-enclosed mass called a biofilm.